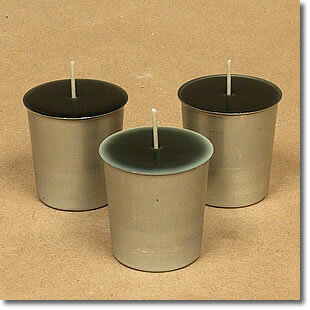 Votives are candle types that are not free standing, meaning it needs a holder that is specifically designed for using votive candles to hold it when used. Why votive candle? 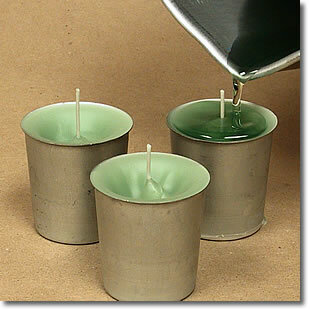 because this is one of the type of candles that is very easy to make. 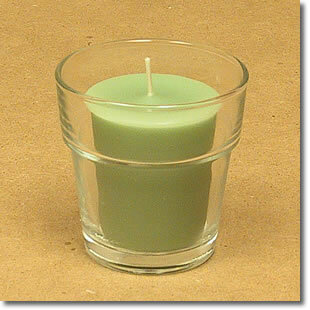 Also, the physical appearance of this type of candle is appealing to whichever setting it is used in. How it works? The votive candle wax melts at certain temperature threshold and when it reaches that temperature the scent infused with the wax vaporizes into the air. A generic votive candle may burn up to fifteen hours and in that duration it practically just used up all of the wax that it was made from. Aromatherapy Candle Recipes -- Step 1. Make the Wax Mixture. You need to melt the wax of your choice first before you can mold it. 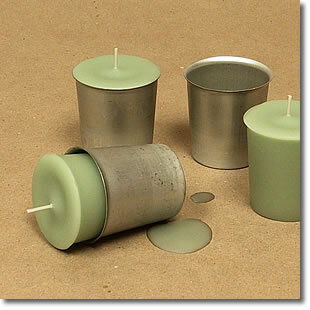 The preferred temperature in melting wax is approximately 175F, especially for votive candles. Wax, if overheated is flammable so take caution. The wax in liquid form may be infused with the desired additives such as color or scent to increase volume. In mixing the combination of wax and additives make sure that no air packets get into it. The materials should be added according following order: Additives (vybar or stearic acid), then fragrance oil, and last Dye. , this is added last to make sure that all other ingredients are added as they should be. 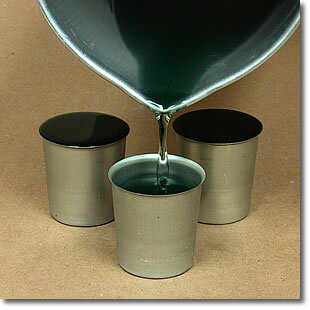 Before you pour the wax, make sure you coated the mold with silicone spray. Doing with will help you release the candle from the mold easily. But usually this method is for the new mold. Secure the molders by placing a sheet or sheet of newspaper on a flat surfaced area to avoid any spill. Set aside around 20 % of your wax to be used later. Wait until the wax coolen then Prim the wicks so these are straightened. No need too straight though. 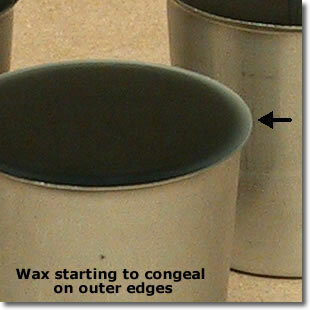 Allow the wax to congeal first before setting the pre-tabbed wick into the molder. The tab will automatically stick to the button when it touches. Let the wax cool as a preparation for the subsequent step. If the wick is getting pulled off the center during cooling process to whichever side, you may just apply a light tug to make sure it stays centered. 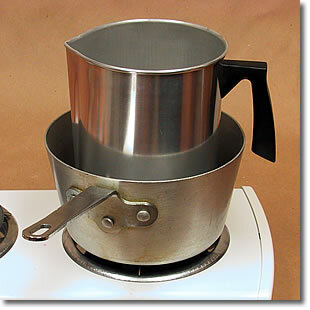 Allow your wax to completely cool before proceeding to the next step. This may take 3-4 hours. Prepare the leftover of the wax mixture form step three. Note: The cooled-wax will decrease in size because it congealed. This would have resulted to a hollow between the shrunk wax and the molder. Heat up the leftover wax until 10 to 15 degree The temperature desired for the re-melting is ten to fifteen degrees above the temperature previously used in melting the entire mixture. After the target temperature is reached then pour it into the mold until slightly full. Carefully pouring to avoid spill. Allow the wax to cool in the molds. Make sure that before proceeding with this final step the candle has cooled completely. Should there be any signs of difficulty when taking the candle off of the mold you may place it in the freezer for 5 minutes to make sure that the outer layer of the wax is completely cooled. This step may be repeated as required. After the long but fun process of making a votive candle it can't be helped but to be fascinated by how beautiful the product is in appearance and the excitement of how much you will enjoy this treat! 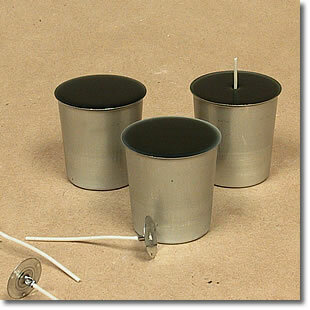 Now before using this homemade candle make sure that it is secured by a holder for enjoyment.